← Celebrating the Royal Wedding to a tea! Have they gone insane? 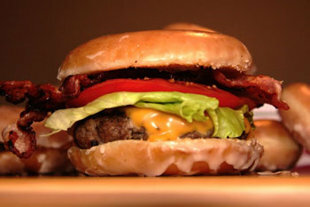 A Crispy Creme hamburger? Deep fried cola? Mauvais appétit is more like it.